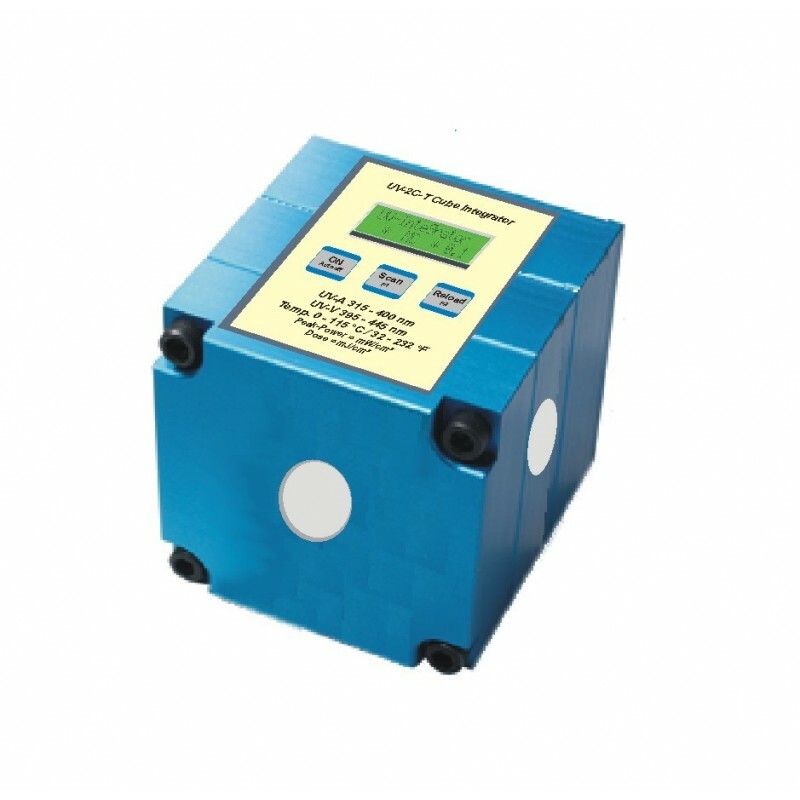 The UV-2C-T Cube Integrator is a self-contained, high quality UV measuring instrument. It is designed to measure and display peak UV intensity and UV dosage in the UV curing process. It is equipped with a selection of two different UV sensors and one temperature sensor. While on the conveyer belt, the UV-2C Cube Integrator can withstand max. 230 F / 110 C for up to 10 seconds. The temperature of the housing should not exceed 113 F / 45 C.